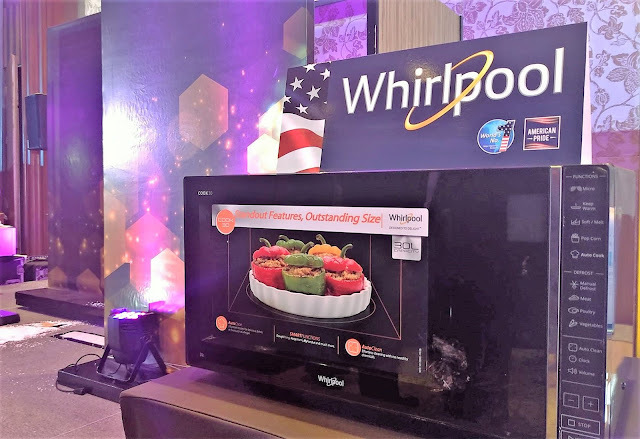 Whirlpool and Excellence Appliance Technologies, Inc. (Exatech) recently introduced three new products in the Philippines. For twenty-seven years, Whirlpool and Exatech have joined together to bring quality US appliances to Filipino consumers. Coming from a humble beginning as a local appliance retailer, Exatech has grown into an international distributor after its partnetship with Whirlpool in 1992. Now, three new products were launched at the Marco Polo Ortigas Manila Hotel ballroom. Special guests included Mr. Blanco Wong, Managing Director of Whirlpool Southeast Asia, and Mr. Rodrigo Salamonl, Marketing Director of Whirlpool Southeast Asia. 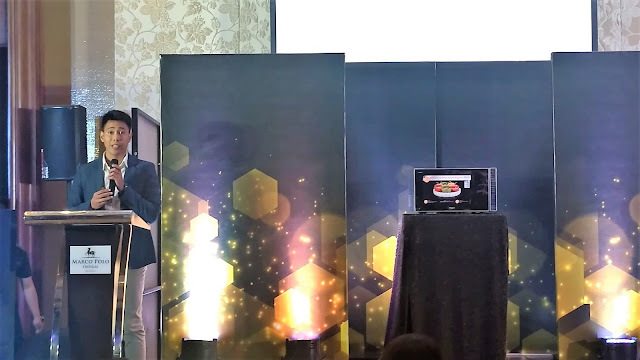 Hosted by Ms. Donita Rose, the program consisted of demonstrating the unique product features to the audience. The first product to be revealed was the MWP 305 ES Vancouver microwave oven. Built with an integrated handle and touch-screen design, this model is perfect even for first-time users. The 30-liter capacity Including the grill and steam function also makes it flexible for all kinds of cooking needs. The next product was the new and improved Bloomwash Inverter Plus washing machine. The Zen Direct Drive Inverter Technology allows a quiet yet high wash performance and ensures high energy savings. Its Hot Wash feature heats up the water up to 45°C to remove different types of stubborn stains and allergens. This was further supported by the lab test done by FAST Lab that showed the low bacterial count after just one wash cycle. 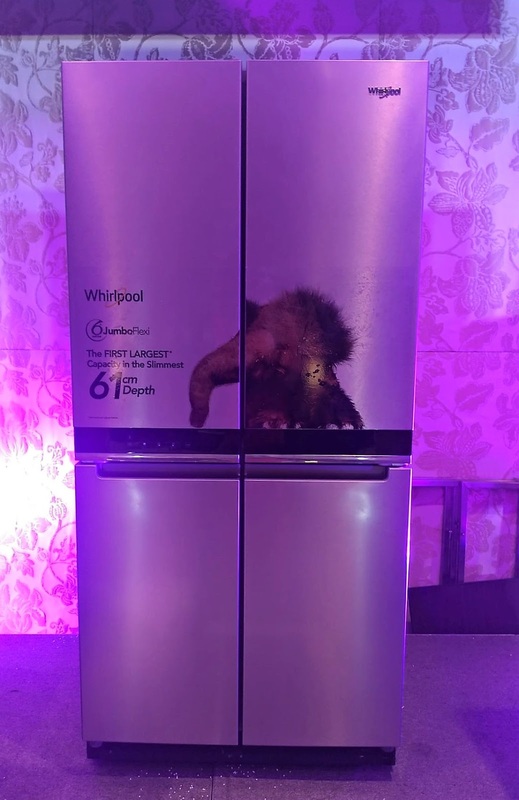 The final product to be launched was the revolutionary Quattto French Door Refrigerator. Equipped with Whirpool's patented 6th Sense Technology, it is able to maintain the optimal environment of your food. The Fresh Lock automatically adjust the temperature to maintain the freshness of fruits and vegetables while the Freeze Lock reduces freezer burns. Meanwhile. its FlexiFreeze compartment allows you to choose three different temperature levels depending on what food you are storing. The latest Whirlpool Vancouver Microwave Oven. 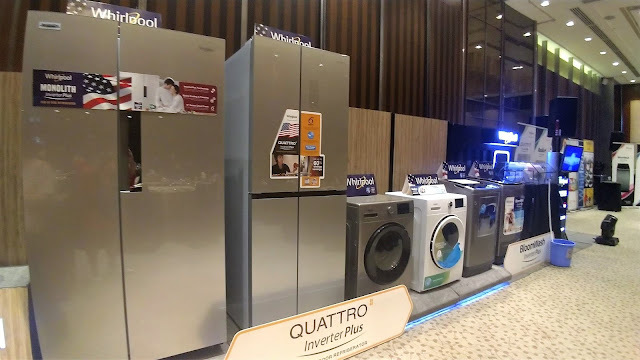 BloomWash Inverter Plus Washing Machine, and Quattro French Door Refrigerator is now available to the public through all leading appliance stores nationwide. 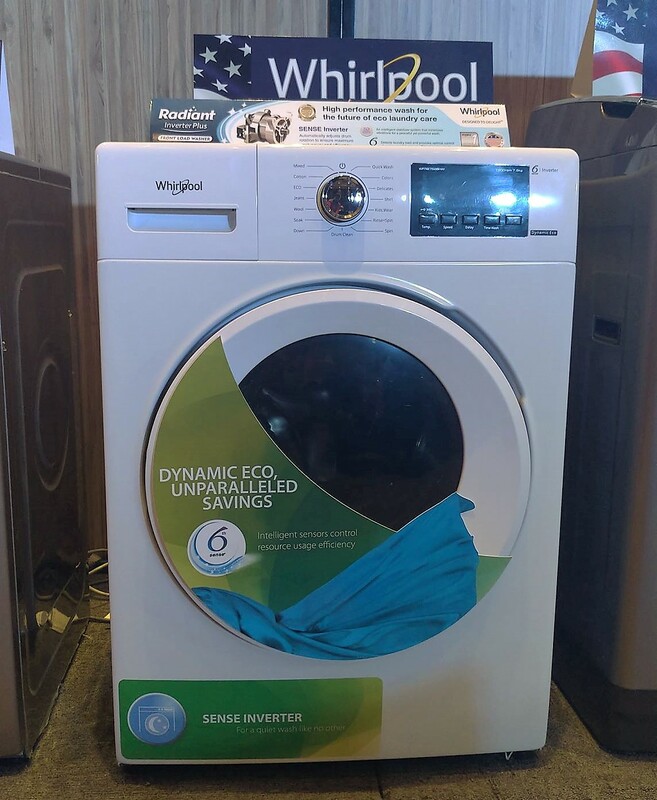 You may check their website at www.whirlpool.com.ph for more information.